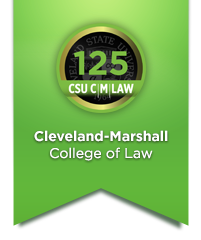 The Office of Career Strategy & Employment at Cleveland-Marshall College of Law advances a robust and diverse legal market by connecting employers to qualified, professional, innovative, and practice-ready law students and new graduates. We empower law students and graduates to create personalized professional development plans that align with their values, goals, and strengths. In collaboration with the C|M community, we provide knowledge, skills, and resources to support student readiness to enter the 21st century legal workforce and we offer employers recruitment programs and engagement opportunities to foster connections with the next generation of legal professionals and civic leaders. You should also make regular use of CareerConnect, the OCSE's online home, which provides resources, job listings, and more to make your career development stronger and simpler. We strive to provide individually tailored plans and advice to each of our students and alumni. To this, though, we have to know you and your goals. We look forward to seeing you in the OCSE and to being in regular contact about your job search and career development plans and progress. The Office of Career Strategy & Employment offers a variety of ways to connect with Cleveland-Marshall students and alumni, including job postings, formal recruiting programs, career fairs, and OCSE programs and events. We invite all of our employers to be active users of our CareerConnect database, which allows you to post and manage your available opportunities, search Resume Books, and market your organization to potential candidates by completing your employer profile - all of this at no cost to you! If you already know your CareerConnect log-in information, please click here to access your account. To learn more about activating a CareerConnect account, please call or email the OCP at 216-687-6871 or careernull@law.csuohio.nulledu.